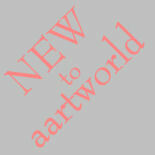 Welcome to aartworld.com, a new web site for art and artists now being developed. It will give a web-presence for artists, sculptors, makers and photographers, as well as links to galleries and exhibitions where their work can be seen. ***site under active construction - Sculpture in Wood by Barry Hankey At present , it includes pages on landscape photography and hand made wooden clocks by Barry Hankey in South Wales, hand made cards by Ruth Gaskins in Cheshire , Greek Images by Chris Dawson, landscape photography by Pete Bevan based in South Wales and by Simon Kitchin in North Wales. The main purpose of aartworld.com is to give local artists an easy way to have a page on the web. You can have a link on aartworld.com to your own website. Or you can have a brief introductory page on the site giving details of your work and where it can be seen. If you like what you see, or you like the idea, contact us . The Arts Centre houses changing exhibitions, a permanent craft shop and an art cafe.